It’s no secret that times have been tough for low-cost carriers recently. Primera Air collapsed in October of last year and even Air France subsidiary Joon is on track to be merged into its parent company. Apparently, millennials aren’t as easy to fool as they appear. Lately, it’s been WOW air and Norwegian Air feeling the pressure. After suffering Rolls Royce 787 Dreamliner engine issues which grounded flights last year, Norwegian has been hit by the suspension of Boeing 737 MAX 8 flights, straining resources in an already cash strapped operation. Meanwhile, WOW has struggled to find a partner to fund continued operations amid huge operational losses. WOW has now twice failed to reach terms on a new structure with Icelandair and the private equity firm Indigo group or other potential partners, and time has officially run out. Needless to say, the news this morning that WOW has canceled all future flights doesn’t really come as a shock, but a major inconvenience to travellers nonetheless. 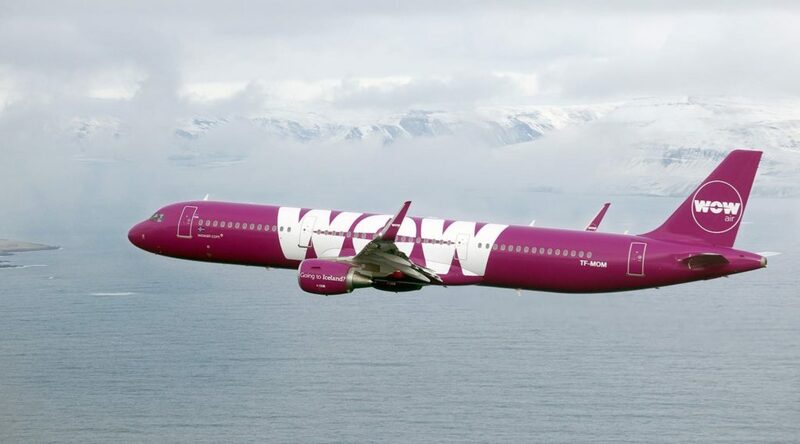 With flights connecting Iceland to many cities in the U.S. including midwest hubs and even a couple of west coast destinations, WOW has been a popular way for people to travel to Iceland or connect to Europe on the cheap. Now, we’re left with one fewer low-cost carrier and less competition in the transatlantic market. What To Do If Your WOW Air Flight Is Canceled? If you were booked to fly WOW, and you booked with a credit card, your best course of action is to file a chargeback. Since WOW didn’t deliver on your purchases, you should have a good case. Additionally, you should go ahead and file an EC 261 claim as you are due compensation for the canceled flight. Now, we should warn you that WOW doesn’t have a great reputation responding to these claims and, under administration, you can bet you won’t have much luck. So, while you can file the claim yourself, we’d strongly recommend using a service to help with what will inevitably be a painful process. We’ve found — as have many of our readers — that AirHelp is a great service in these circumstances. AirHelp will take a 25% cut for handling the paperwork and dealing with the airline — not pleasant in these circumstances, as you can imagine. While no one wants to give up 25% of the compensation they’re owed, 75% of something is a whole lot better than 100% of absolutely nothing. Even if you were willing to fight for compensation on your own under normal circumstances, consider what that experience might be like now that WOW has failed.. If you want more info on AirHelp, you can check out our in-depth look at the service. For those stranded away from home in need of a hotel, food or other essentials until you can get a new flight, don’t forget that the credit card you used to book may have trip delay/cancellation insurance. There’s no good way to spin this one. Tons of medium-sized US and EU cities will lose service to/from Iceland and across the Atlantic. Without WOW helping keep flight costs down on other carriers, we won’t be surprised if transatlantic prices start to rise. Now, we’ll just have to see what happens to Norwegian Air, which with the exception of IAG backed LEVEL, is really the only remaining low-cost option operating flights between the US and Europe. We’re hoping for the best but it’s hard to be optimistic at this point.